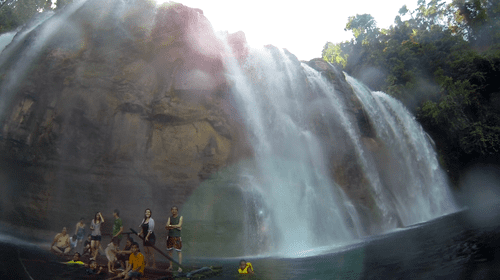 Caraga, officially known as the Caraga Administrative Region or simply Caraga Region and designated as Region XIII, is an administrative region in the Philippines occupying the northeastern section of the island of Mindanao. The Caraga Region was created through Republic Act No. 7901 on February 23, 1995. The region comprises five provinces: Agusan del Norte, Agusan del Sur, Surigao del Norte, Surigao del Sur and Dinagat Islands; six cities: Butuan, Cabadbaran, Surigao City, Tandag, Bislig and Bayugan; 67 municipalities and 1,311 barangays. Butuan is the regional administrative center. 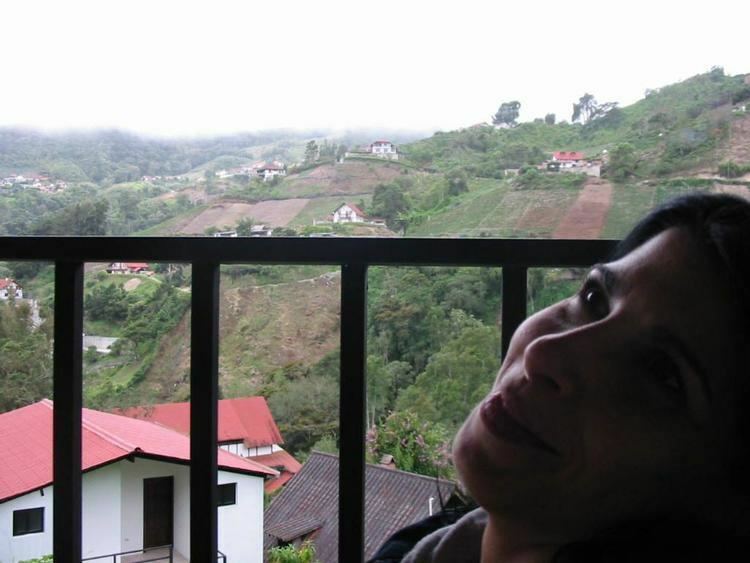 The etymology of Caraga is said to have originated from the native word Kalag which means "spirit of soul". Hence, the whole Provincia de Caraga of AD 1622 was called region de gente animosa, that is "region of spirited men". Another fictional etymology of the name flows from a local legend as coming from the word Cagang, a numerous small crabs matting the beach of Caraga, which is also known as katang to the native inhabitants. Legend goes that the town was named as such because the first Spanish missionaries who came in the early years of 1600 found numerous small crabs matting the beach. 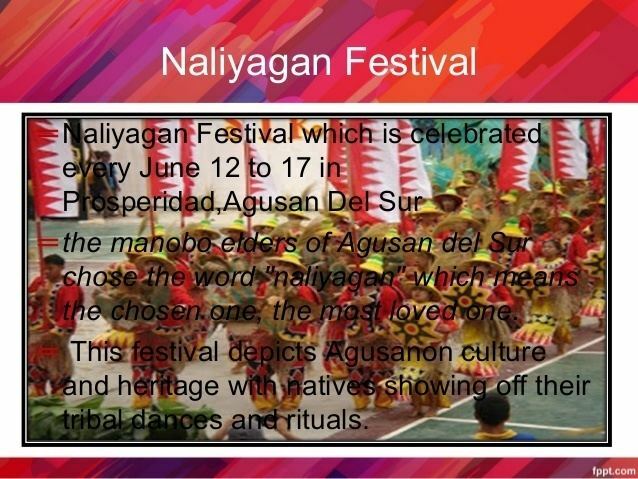 During pre-colonial times, the Rajahnate of Butuan ruled in what is now Agusan del Norte and Butuan City. It had much influenced on all of Caraga, portions of Northern Mindanao, and western side of Bohol. According to records, Butuan was in a cordial relationship with the Sultanate of Ternate in the present-day Moluccas of Indonesia. The Ternateans would attack and ransack Butuan and its wealth, but Butuan always prevailed. It was known that the Rajahnate of Butuan had friendly relations with the Rajahnate of Cebu which it considered as an ally. The Rajahnate of Butuan became a powerful Hindu state which is much known for its goldsmithing and boat-making. The people of Butuan used gigantic boats known as balangay which carried numerous men. Relics of these gold crafts and giant boats have been unearthed and preserved by the National Museum of the Philippines and other international museums. Butuan also had cordial relations with the Kingdom of Champa in what is now central Vietnam. The Butuan people managed to traverse the Sulu Sea and the South China Sea to reach Champa for trade. While the Rajahnate of Butuan was at large, the indigenous lumads of the inner sections of Caraga were free and had their own democratic societies that were highly advanced. Their societies were known for their knowledge on nature, medicine, mythology, and warfare. Chinese traders eventually came into Butuan and the Sino-Butuan trade became the focal point of Champa-Butuan relations, where both nations were competing against each other to win favor of better trade with Chinese traders. Eventually, Butuan started to weaken due to massive attacks from Ternate. Cebu was unable to help at the time because it was also being attacked by Ternate. Likewise, the Kingdom of Dapitan in Bohol, "The Venice of the Visayas", was also destroyed by an attack from Ternate. When the Spaniards came and subjugated the Rajahante of Butuan which was already weak due to much tensions with the Sultanate of Ternate, the boat-making and goldsmithing traditions were eradicated and the relations between the coastal Butuan and the lumads of the interior became less known. The lumads of the interior were also converted to Christianity, which diminished some of their traditions on nature worship. The Spanish attacked the Sultanate of Ternate to negate any future attacks in Caraga, which they succeeded at due to much gun power. With the Spaniards having full control of Caraga, they started establishing Spanish-modeled centers to maximized their coverage and control over the territory, wherein they succeeded at. The Spaniards would rule the country until the United States defeats them in a war which would lead into the handling of the entire archipelago into American possession. Based on 2015 census, the total population of the region was 2,596,709. The annual growth rate over this period was 1.28%, one of the lowest in the country. Among the five provinces, Agusan del Sur registered the largest population at 700,653, and Dinagat Islands was the smallest at 127,152. 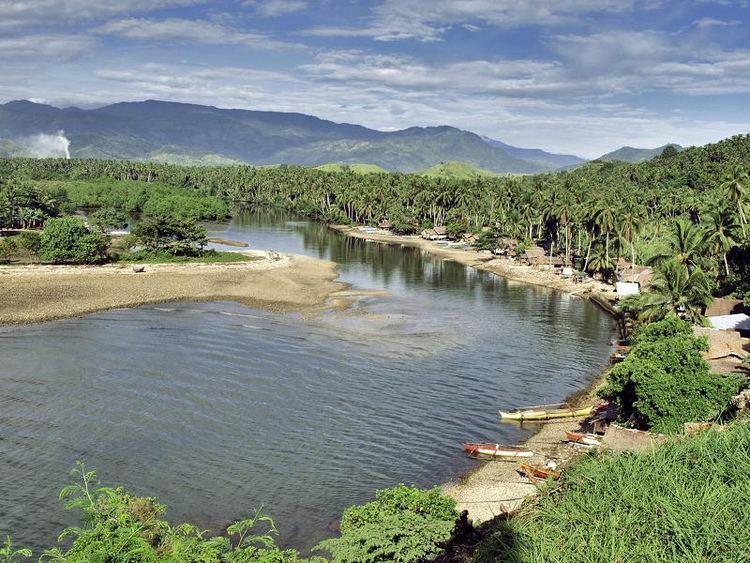 Surigao del Norte was the fastest growing province with an annual average growth rate of 1.76% over the last five years, while Dinagat Islands was the slowest at 0.05% over the same period. Butuan and Surigao cities had total populations of 337,063 and 154,137, respectively. Butuan City recorded an annual growth rate of 1.62% in the period 2010-2015. The 1995 census revealed that the dominant religion in the region was Roman Catholic, with the population of 1,397,343 or 79% of the total household population in Caraga. Poverty in the region decreased by 1.7% from 44.7% in 1997 to 42.9% in 2000. Another positive development is the increase in the regional annual family income based on the 1997 and 2000 Family Income and Expenditure Survey, which increased by 13.65% from PhP 71,7126.00 in 1997 to PhP 81,519.00 in 2000. Regional annual family expenditures also posted a 16.65% increase, from PhP 61,815.00 in 1997 to PhP 72,108.00 in 2000. The average annual savings slipped by 5% from PhP 9,911.00 to PhP 9,411.00. Poverty incidence data for 2003 is not yet available. Biking trails within Kawas, Alabel City, Surigao del Sur, Agus an del Norte and Siargao play host to cross-country and downhill competitions participated by local and international bikers. The region has a total of 49 higher education institutions comprising 45 private Higher Education Institutions (HEIs) and 4 State Universities and Colleges (SUCs). Among the Higher Education Institutions, San Nicolas College (now St. Paul University-Surigao and first university established in the entire region) is identified as the center for development in teacher education and the regional center for Gender and Development, it being the seat of CARAGA Women's resources center. 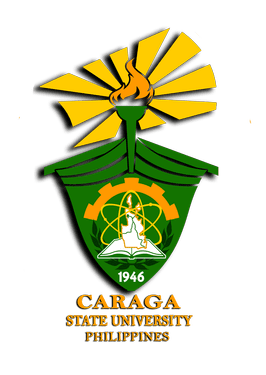 While one of the SUCs, the Caraga State University (CSU) formerly known as Northern Mindanao State Institute of Science and Technology (NORMISIST), is the seat of the CARAGA center for environmental studies and management (CCESM), acts as the focal point of capability building and coordination for environmental efforts in the region. Father Saturnino Urios University, was founded by Caraga's most loved Spanish missionary, Fr. Saturnino Urios S.J. in 1990. The Commission on Higher Education (CHED) recognized Father Saturnino Urios University as one of the best schools in the region producing top notchers in national board examinations in Nursing, Engineering and Accountancy. Its performance in the Licensure Examinations for Teachers (LET) and the Philippine Bar (BAR) is also relatively high. On July 12, 2006, Urios College formally announced its elevation into a University and is now renamed Fr. Saturnino Urios University (FSUU), the first home-grown university in Caraga. All the vital health indicators from 1992–1997 showed a decreasing trend except for maternal mortality rate. The crude birth rate decreased from the 1992-1996 five-year average of 21.02 to 18.71 in 1997. The crude death rate also decreased from 3.60 in the 1992–1996 average to 3.0 in 1997. The infant mortality rate increased from an average of 1.33 in 1992–1996 to 1.56 in 1997. All of the leading causes of morbidity from 1992–1997 were communicable diseases, and showed a reduction in rates for every 1,000,000 population, except for pneumonia (836.30 to 1,200.23), diarrhea (1,059.40 to 1,133.11), influenza (655.36 to 926.74), and malaria (216.80 to 366.5). With regards to the leading causes of mortality, lifestyle-related diseases like cardiovascular diseases and cancer top the list, replacing the communicable diseases. The region is connected to the major centers of its neighboring regions by the Maharlika Highways that runs from the cities of Davao, Cagayan de Oro and Surigao. The provinces are interlinked with concrete roads, except for Surigao del Sur which is still partially concreted in a few parts. Total road length of the region runs to 7,515.596 km. Road density was at 0.3988 as of 1995. There were 1,325.558 km classified as national roads in the region and 1,289.774 km of city and provincial roads. The total municipal road length for the region was 696.46 km.